The Top 6 Things You Should Know How To Cook by 25. Knowing how to cook is one of the most valuable skills you can have, especially once you've moved out of home and have to make sure you're getting a (reasonably) well balanced meal each day! Whether you already have some basic knowledge, are a fully-fledged cook or have no experience at all, as long as you know how to make the dishes I'm about to list you will be off to a great start. So, in no particular order, here's my Top 6! Fried, scrambled, boiled and poached; there is no method of cooking eggs that isn't worth learning! Whether you're craving some eggs on toast or you love the Caesar Salad at your local cafe that you'd love to recreate, there are seriously no negatives to knowing how to cook the perfect egg. 2. 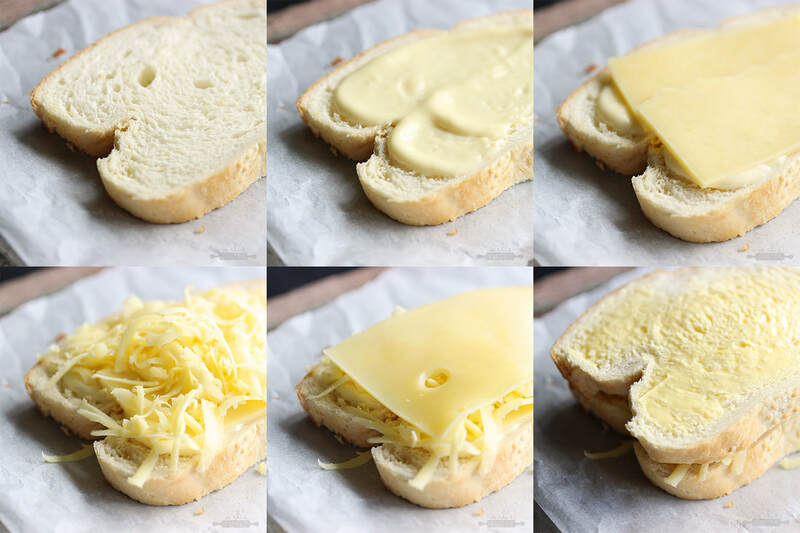 The perfect cheese toastie! Comfort food at it's best, there is seriously nothing better than a cheese toastie (or grilled cheese!). Once you've mastered this, shake things up a little; pesto, ham, different cheeses.. it'll become an obsession! You can check out my recipe here! I may be a little biased, but I think its a 12/10. 3. Homemade muesli, for the gram. Muesli is a great start to any day, and buying your favourite muesli from the supermarket can become a steadily expensive expense. Muesli is another one of those amazing things that is COMPLETELY customisable and can fit to any budget, and all you need to do is scatter some bits on a tray and toast them up. 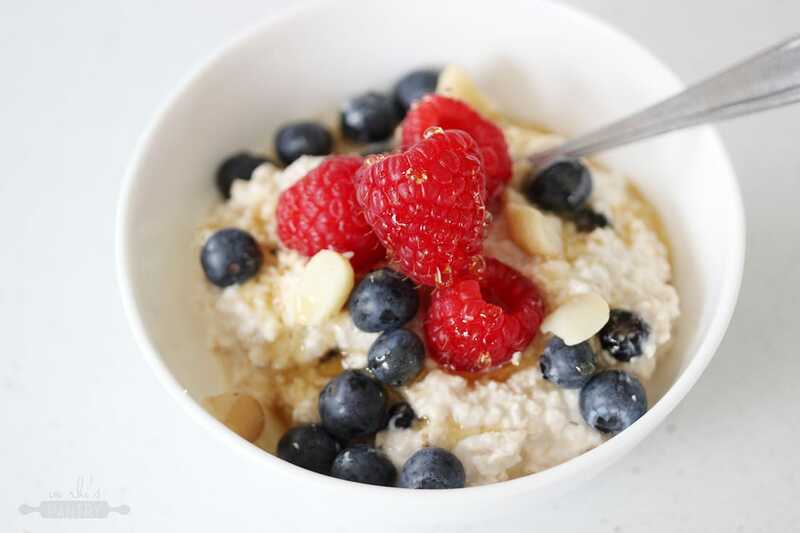 Alternatively, try my no-cook Bircher Muesli! Again, once you've cracked this recipe you can add almost anything to it, and it can be made in bulk to set you up for the week. 4. Roasted vegetables, of any kind! Knowing how to roast the perfect vegetable is high up there on my list. Who can seriously say they don't love roast potatoes, and you'll feel immensely proud when you can confidently say that you make the best of the best! Plus, not only are they great the night of, toss the cold roast veggies with some feta, spinach and dressing to create a bangin' salad. 5. Chocolate brownies, just because. For a go-to dessert, last minute work morning tea or purely just something to satisfy that sweet tooth, chocolate brownie is your answer. Unlike cooking, baking can be a little more dependent on the right measurements, but that doesn't necessarily mean baked goods are harder to execute. 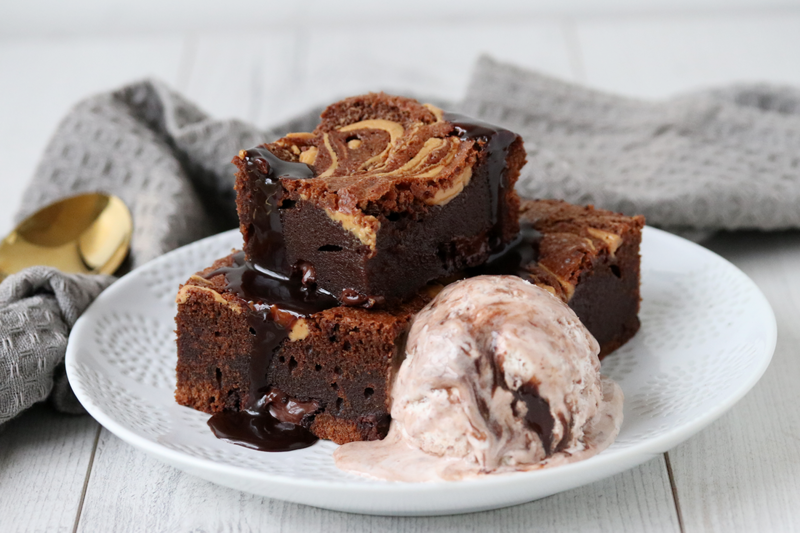 If you're wanting a rich and moreish brownie recipe, check out my brownie recipe here!Served with chocolate sauce and ice cream to create a very indulgent and impressive dessert. 6. A bit random, but Stir Fry! This suggestion probably seems a bit random but trust me, if you're looking for a quick and easy meal option that doesn't need a recipe, this will be your saving grace. Stir Fry can pretty much be made with any non-starchy vegetable and flavoured with a multitude of Asian sauces, and still taste delicious. Serve with your favourite protein and noodles or rice, and you'll be pretty impressed with what you've managed to whip up! I love the combination of Beef & Broccoli that Jamie Oliver has used in this stir fry. What would you say has been the most invaluable thing you've learnt to cook? Let me know in the comments below! Finding a great snack can be a really hard quest. Sure, that muesli bar might fix those sugar cravings for 5 minutes, or the bag of chippies will hit the spot momentarily, but there are so many more options out there that will do so much more for those 3pm (or 10am, or 8pm) hunger pains. Lisa’s new Smokey Hummus inspired me to come up with some super simple and quick snack ideas that are actually packed with flavour and texture! First up, we have a crowd favourite; quesadillas! Quesadillas are such a delicious option that really only take 5 minutes to make, start to finish. Smokey hummus, kidney beans, taco seasoning, coriander and cheese fill this one, and it’s finger licking good! Spread one tortilla with 2 Tbsp of hummus. Sprinkle with ¼ cup drained kidney beans, 1 tsp taco seasoning, fresh coriander leaves and a ⅓ cup grated cheese. Top with another tortilla, and dry fry in a pan for a few minutes on each side, or until the tortilla is golden and the cheese has melted. My second snack is a Mediterranean inspired bagel, pulling inspiration from the garlic and lemon notes in Lisa’s new hummus. A warm sesame bagel is topped with a generous layer of smokey hummus, beautifully squeaky halloumi cheese and a quick little salsa made up of tomatoes, red onion and chives. Drizzle with some olive oil and voila! Spread half a toasted bagel with 1 Tbsp Smoky Hummus. Top with 3 pan fried halloumi slices, and a salsa mixture made up on 4 chopped cherry tomatoes, diced red onion and chives to taste. Season and drizzle with olive oil. The Donuts in Auckland You Can't Not Try. June 1st is National Donut Day. Yes friends, praise the culinary gods for blessing us with a whole day dedicated to the celebration of donuts. Basically, an excuse for eating all. of. the. donuts. In spirit of this, I thought it would only be fitting to share with you what I think are the BEST donuts in Auckland. 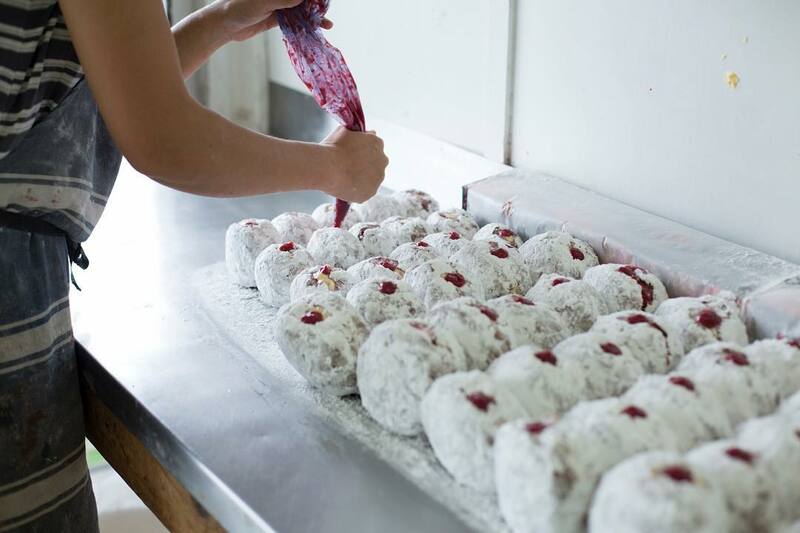 ​If you call yourself a donut lover and you haven't tried the places I'm about to talk about, you're going to need to book out your diary this weekend. Let's jump straight into it, we've got donuts to eat. My newest discovery (and obsession) is Grown Up Donuts, pictured above. 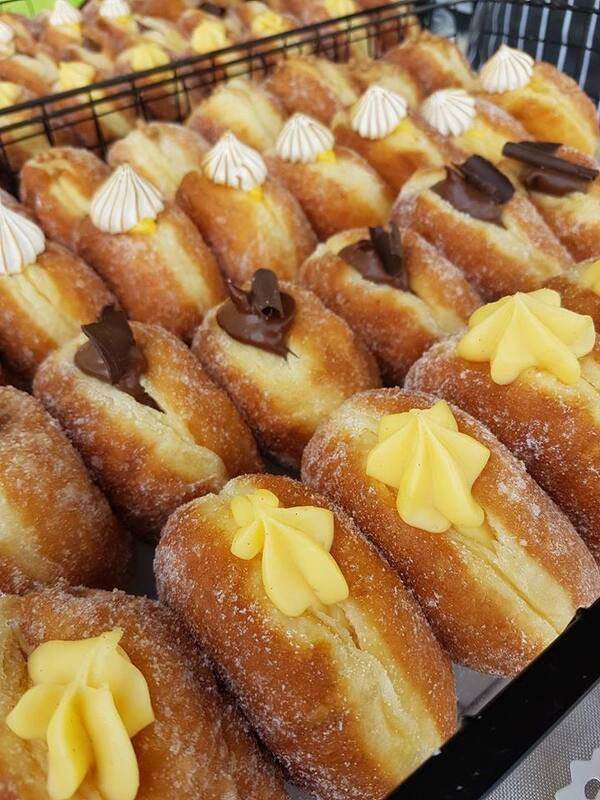 Grown Up Donuts is a market hopping nomadic business supplying light and buttery donuts to Auckland and it's neighbouring towns. I'm lucky to live by one of their regular spots, and in the 3 times I've eagerly handed over my eftpos card, I've returned home with 8 different flavours. Lemon and lime meringue, gingerbread, belgian white chocolate orange, espresso... I could go on but I think by now you're probably drooling. MUST TRY. My next recommendation really doesn't need an introduction because they are QUEEN'S. Little and Friday have been slaying the donut game since 2007, and believe me when I say these donuts are pure h-e-a-v-e-n. The Raspberry Creme Diplomat pictured above is creamy and sweet, with a cleverly balanced hit of tangy raspberries; it couldn't be more perfect. Note: if you don't end up covered in icing sugar, you're doing it wrong. Now this last suggestion may be controversial considering the company it's in, but I have to give credit where credit is due. After a late night trek to Manakau (trek isn't used lightly considering I live in North West Auckland) I discovered how simple and delicious a fresh, Original Glazed Donut from Krispy Kreme is. All I'm going to say is, trust me; even if there is the slightest bit of doubt in your mind. Although, don't take this suggestion as word if the donut is over a day old, it won't even come close. By all means, form your own opinions, but please do the donut world justice and try one (or all of these) at least once. Plus! If you have any favourites lemme know in the comments; this long weekend is calling for some donut discoveries! Everyone loves a burger, and even more so, a cheeseburger. I’m a sucker for them, whether it’s crowding around the BBQ making them homemade, testing out your favourite restaurant’s spin on the classic or the odd cheeky drive through run. Now, every family will have their own classic recipe, so I’m not here to tell you how to make the cheeseburger; but, I have created two little sauces that will take your cheeseburger to a whole new realm! Sour, or spicy. 4 ingredients in each, and 5 minutes to prepare. Slather it on top of your already delicious burgers and you have an added punch of flavour in seriously no time at all. The BEST part? No measurements required. You could add 3tbsp of one thing and a dash of another, keep everything chunky or chop it really fine - it’s completely up to you and your tastes. For the sour you will need: Best Foods Original Mayonnaise, pickles/gherkins, fresh parsley and lemon juice. Seasoning optional. For the spicy you will need: Best Foods Original Mayonnaise, sriracha sauce, fresh coriander and sundried tomatoes. Seasoning optional. Spread these generously over your burgers and you’ll be in heaven, I promise! For the burger itself, I used Best Food’s own Classic Beef and Cheese Burger recipe developed by Jo Wilcox, and it worked deliciously. If you’d like to try it for yourself, Best Food’s have a food truck (so cool!) travelling around NZ, hitting Auckland, Hamilton & Wellington during May. All you have to do is turn up and you’ll get to try either their tasty Beef & Cheese or Thai Chicken Slider with the magic of Best Foods mayo, on them! 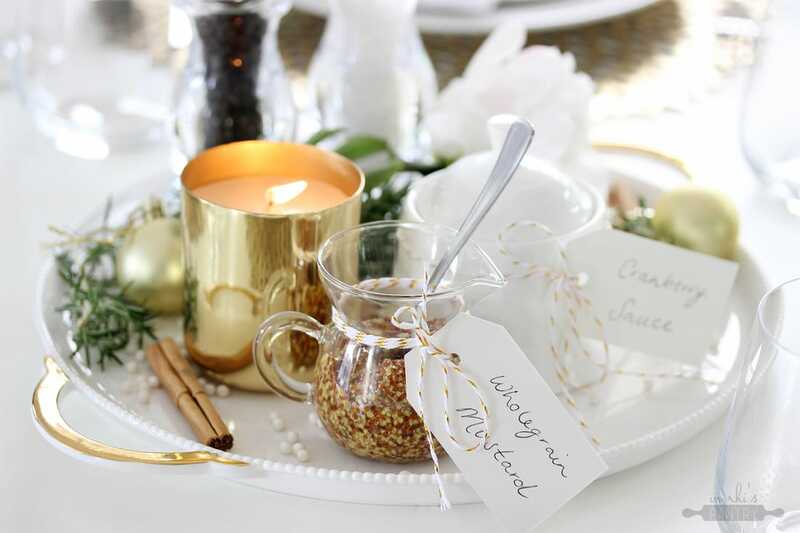 My Dream Table Setting for the Ultimate Christmas Meal! Now that I’ve moved out of home, the excitement of being able to create my own dream Christmas makes the silly season even more exciting than it has ever been. I’ve always had a love for homewares (is that a thing?) and having a blank slate - and blank table - this year was very exciting. However, with excitement also came the nerves - I mean, where the heck do I start?! Answer: Where my thinking always starts. Not with what plates or glasses I would use, but with the food! I always end up spending a lot of Christmas Day or the weekends leading up to it cooking meals that, let’s be honest, take a freaking long time. The exact reason that I wanted to have a setting that wasn’t going to overcomplicate the serving of the meal, but still showcase the food and look sleek and festive! I based my table on a theme of white, metallic gold and rosemary - I know rosemary isn’t a colour, but it reminds me so much of Christmas that I wanted it to be a focal point in itself! Tip: For the table centrepiece, keep it pretty but practical. The meal will take up most of the available space on your table, so only include what you need along with a few elegant touches. To start, I picked up theround platter as a base for the centerpiece; the purpose behind this was to have a tray that held the condiments etc, but one that could easily be lifted from the table to make room for food. Plus, I think it looks SO cute. On the tray, I had my salt and pepper grinders by Grosvenor Savoy, a metallic gold candle by Senses (I think this adds such pretty warmth! 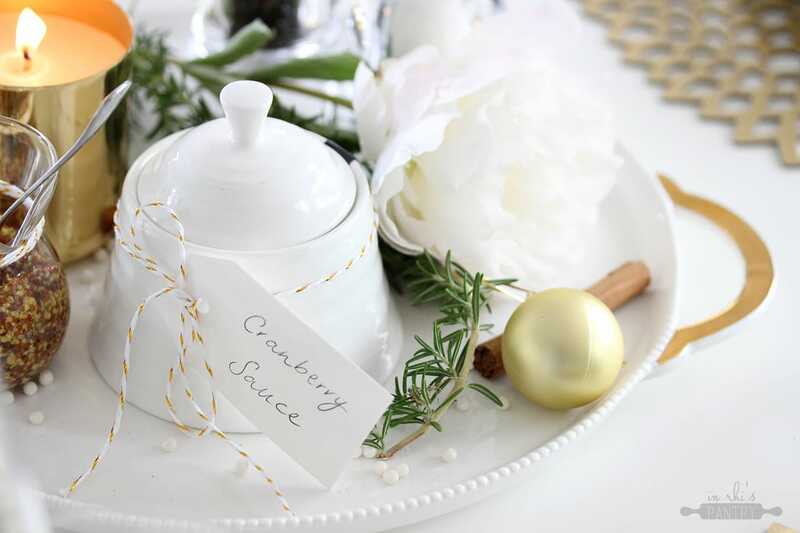 ), a dish for cranberry sauce by Haven Table, and a little glass jug I already had for mustard. I finished the tray with some sprigs of rosemary and cinnamon sticks as I think smells play such a huge part in Christmas memories/nostalgia and both remind me of the holidays; to pretty it up a little bit I also laid down a white peony, a couple of mini gold baubles and funnily enough some white sugar cachous (yep, usually cake decorations!). I wanted to keep the condiments to a minimum as sometimes they can overpower the meal - we will be having ham, so cranberry and mustard work perfectly! Think about what will work best with the star of your meal. Tip: Simplicity is the ultimate sophistication. Remember that less is more, pick out a few elegant pieces, rather than overcrowd and over-clutter. 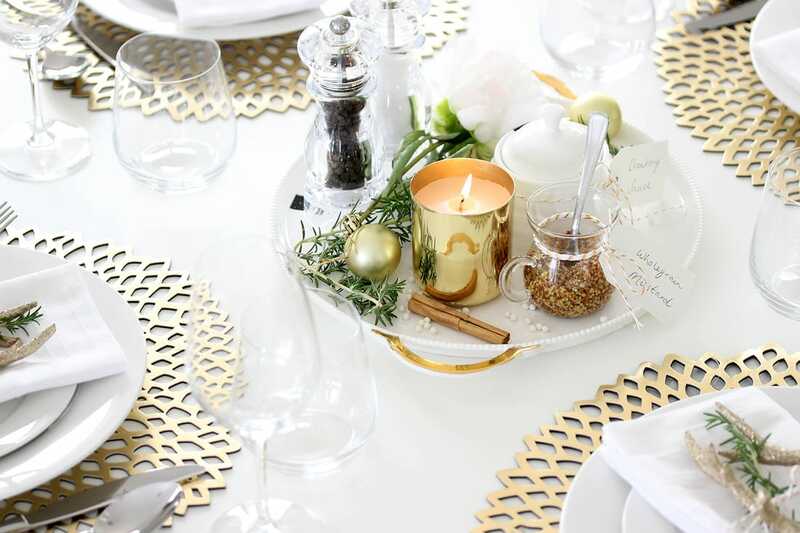 For the individual place settings, I wanted to keep it fairly clean and simple with touches of gold and rosemary. 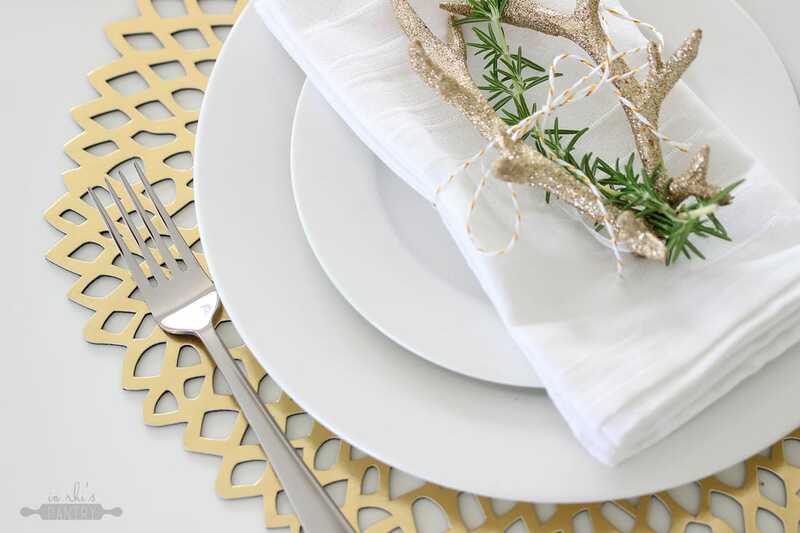 I started with these BEAUT gold placemats by Haven, with a dinner and side plate placed on top (just from my normal whiteware set - any style would work!). For cutlery I went with the 24pc set from Grosvenor Savoy, and white linen napkins by Harven Table Darwin which have a little bit of texture which I love! 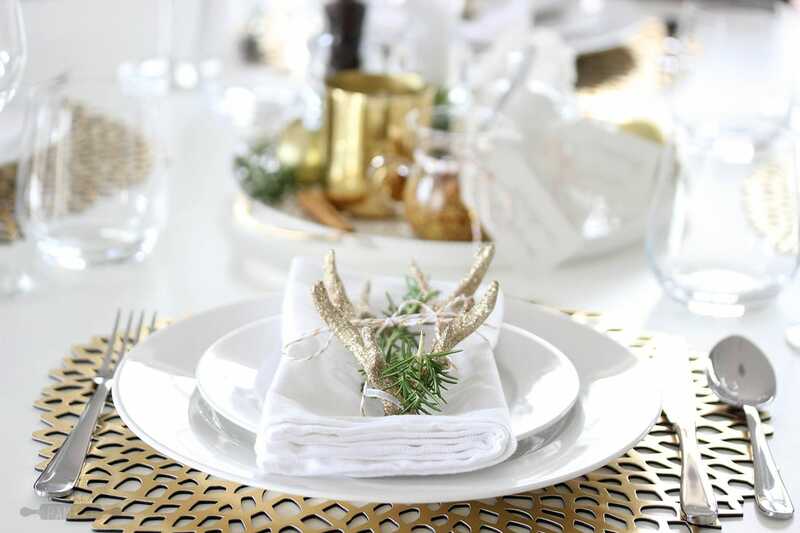 To each napkin, I tied these gold glittered antler decorations along with a fresh sprig of rosemary; I love the idea of having a decoration for each guest to take home for their own tree as a keepsake, and these antlers are SO cute. I’ve been on the lookout for some nice wine and drinking glasses, and I found these absolutely stunning ones in store - the My Wine Savana wine glasses and stemless wine glasses which I used for the table setting also! Obsessed is an understatement. I’m so so happy with how this turned out - I can’t wait to see people sitting around the table enjoying themselves and *hopefully* some delicious food! What do you look forward to most at Christmas? Let me know in the comments! 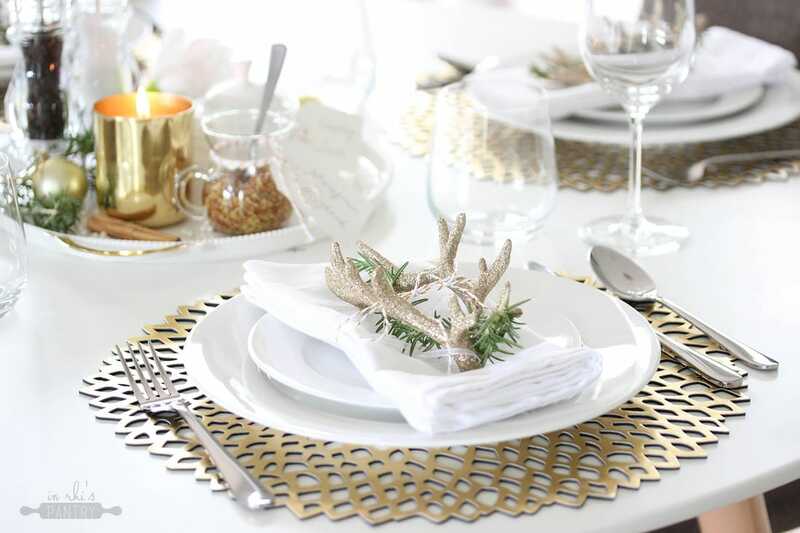 Tip: For the ultimate Christmas table setting on a Christmas-friendly budget, head to Farmers. To put together my table setting, I popped along to my local Farmers knowing I could find almost everything I would need and it was great timing as they had 25% to 50% off - there’s been/will be some great deals to scoop up! I’ve linked all the pieces I purchased that can be found online, otherwise every other item mentioned can be found in store. Thanks to Farmers for making this post possible. All opinions are my own. The Gift to Give or Receive as a Foodie! 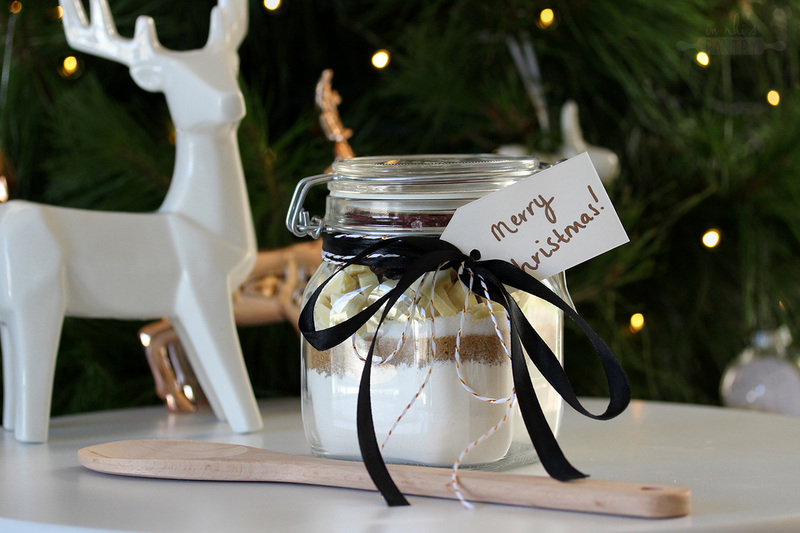 Christmas has to be one of my favourite times of the year - I know, that sounds super cliche, but I also know it’s many other foodies favourite holiday as well. What’s not to love? We get to cook for the ones we love, plan cute table settings (#comingsoon) and come up with - or cook up - the perfect gift ideas. 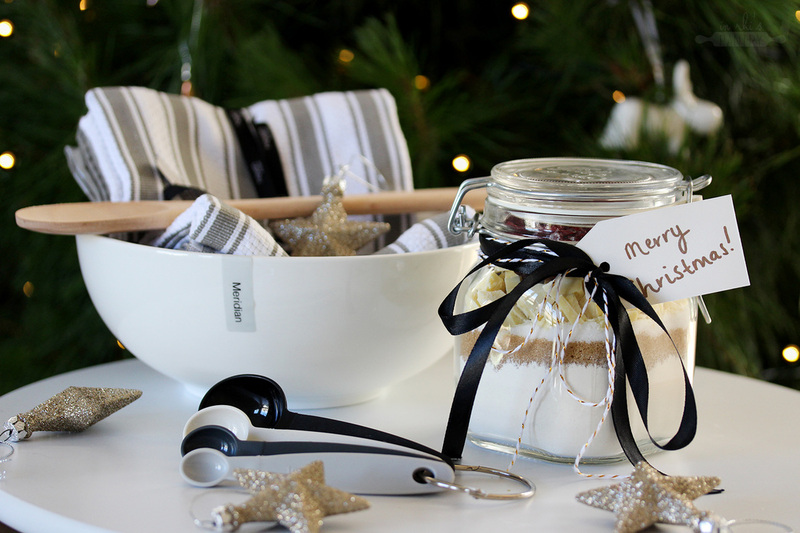 I’m always one to want to give in a food-related way, so I thought I’d put together a little post showing you how to put together the perfect foodie gift this festive season. And better yet, it’s one gift idea that suits any foodie, any kitchen, and your budget (whether that’s $25, $50 or even up to a $100 - see below). 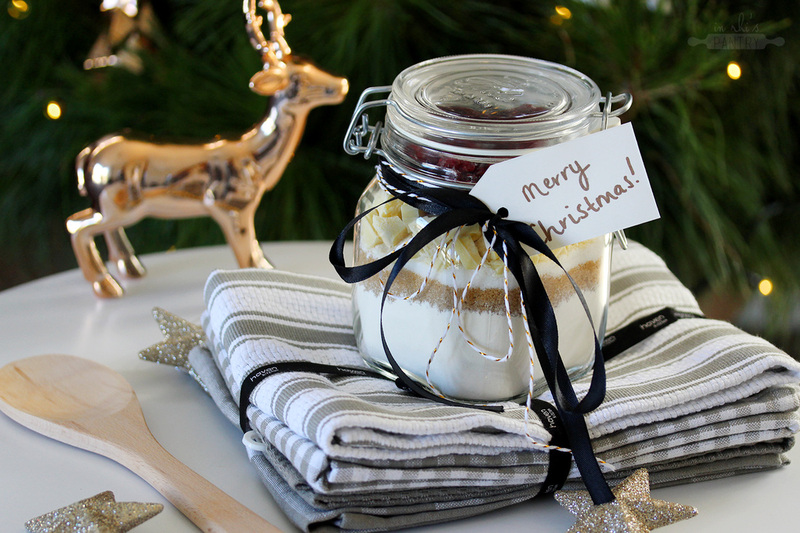 At the heart of this gift is a DIY cookie jar - all the dry ingredients of a scrumptious cookie recipe layered up in a glass jar, tied with a cute bow and a tag featuring the recipe - that you can gift to your faves so they can make their own batch of delicious homemade cookies! I based my recipe off Chelsea from Chelsea’s Messy Apron! Instead of a half, I doubled the recipe to make a ‘full’ batch, and replaced the chocolate chips with white chocolate chunks and dried cranberries for a more festive feel. Plus, to make it easier and wayyyy more efficient, I decided to stick to Farmers when it came to doing the shopping. I was in and out in 20 minutes, and was able to find everything I needed! Honestly, I can trust that what I’m buying is high quality and that there will always be a few different price ranges to choose from - an ideal place to be shopping at this time of the year. I started with a 750ml capacity glass jar that has a classic feel with one of those cute metal seals! I found mine for $11.99 (you can find it here). The ingredients cost me around $3.90, and paired with a nice wooden spoon to make the cookies with, you have your $25 gift! The ribbons and tag are additional, but I think they add a really nice touch. Now to amp things up a little; the $50 present. So we have our cookie jar and wooden spoon, and what pairs perfectly with these? This gorgeous set of beige tea towels! The set comes as a pack of four, and is the perfect addition to anyone’s kitchen - if you’re anything like me, tea towels are like gold in the kitchen! I picked up this set, which come in a couple of different colours too. Last but not least, the $100 version! I was trying to think what would tie this baking bundle together when I spotted this beautiful white bowl. It will work perfectly as a mixing bowl for those cookies, but also doubles as a really nice piece of serveware too! An absolute steal, that I finished off with the essential for every kitchen - measuring spoons! Such a simple but practical addition, and I love the neutral tones these spoons come in. This is a gift I would love to receive as a food lover, and one I am eager to give as well! Whether you want to spend $25 or $100, this gift should put a smile on any food lover’s face. Thanks to Farmers for making this post and my Christmas gifts possible, all opinions and content are my own. ‘Meat Free Monday’ is a term 80% of foodies will have heard of, and has been an incentive for people to experiment with vegetarian cooking and try their hand at meat free meals. Now we all know how easy it is to whip up a roast vegetable salad or a creamy vegetable-based soup, but I wanted to show you 3 dishes I have been loving that are completely vegetarian! Each recipe uses one of the new Lisa’s World of Flavours dips, which provided me a little bit of inspiration to base each dish from. So here we have it! Tater Tot Nachos using the Mexican Chipotle Dip with Coriander, Lime & Red Kidney Beans, Falafel Souvlaki with a generous spread of Greek Yoghurt Dip with Lemon, Mint & Butter Beans and Spicy Summer Rolls with Thai Sriracha Dip with Roasted Capsicum, Sweet Chilli & Butter Beans. To be into win a 2 year Taste Subscription (or gift to a friend for Christmas! ), let me know which you’d make first in the comments below! Competition closes 15th December, NZ residents only. In a small pan or ovenproof dish, spread the cooked potato gems and sprinkle with cheese. Grill at 220 degrees celsius until melted. 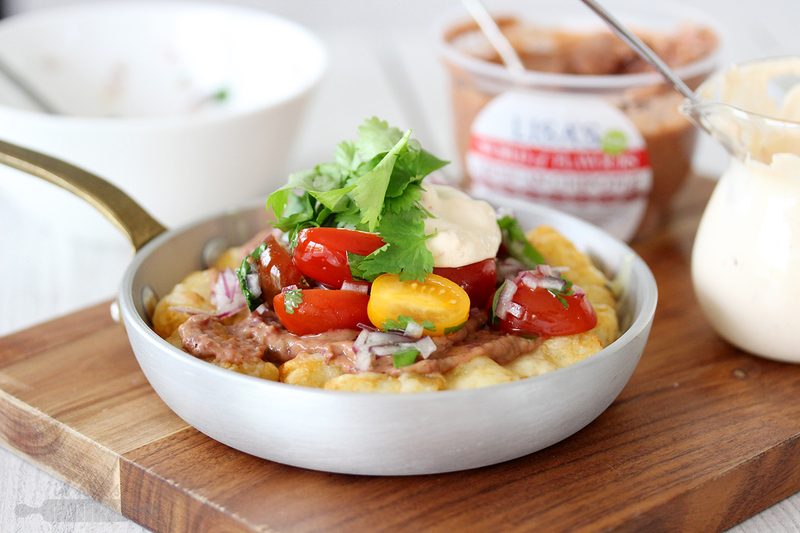 Spread with the Lisa’s World of Flavours Mexican Chipotle Dip, then top with a salsa made from the onion, tomato, coriander, lime juice, olive oil and seasoning. Finish with the chipotle sour cream. Roll the falafel mix into four balls, flatten, then pan fry over a medium heat with olive oil until golden and crisp on each side. Lay the flatbread on a plate, then spread with the dip. 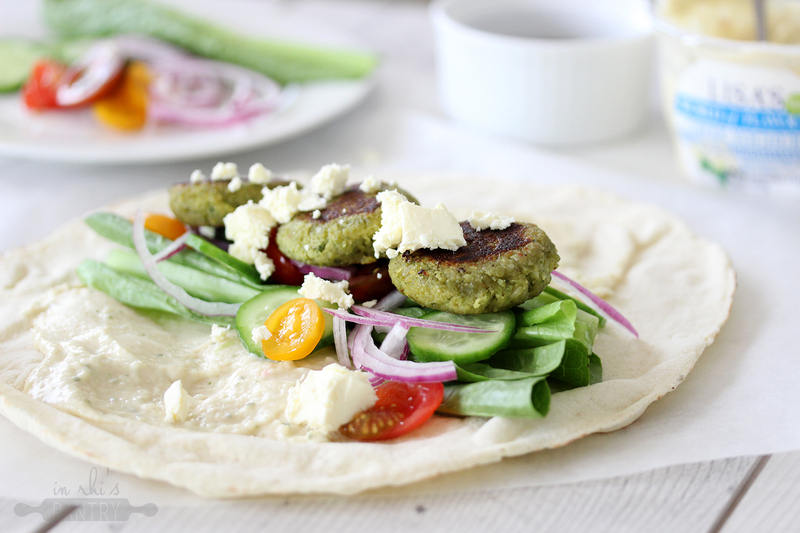 Lay down your desired salad ingredients, top with the falafels and crumble over feta cheese. One at a time, soak a rice paper sheet in warm water, then lay down on a damp paper or tea towel. 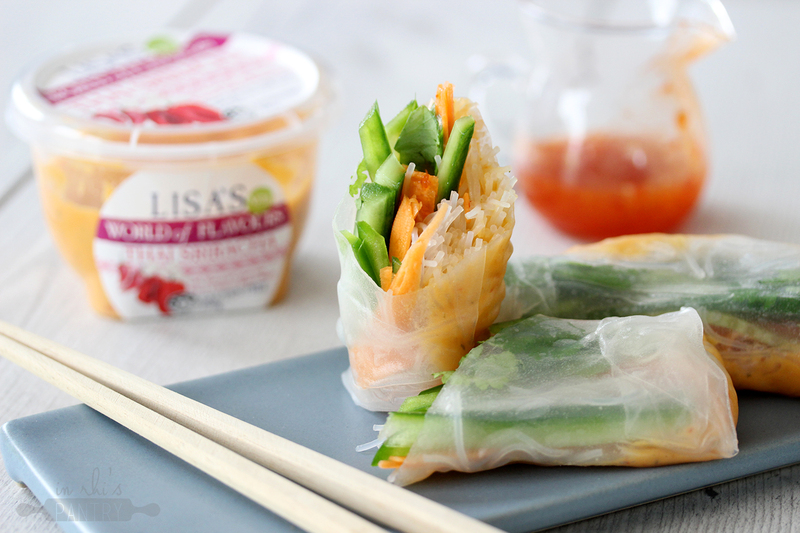 Spread with 1 tbsp of Lisa’s World of Flavours Thai Sriracha Dip, then top with ⅓ of the vermicelli. Pour over a little sweet chilli sauce, the top with the sliced vegetables. Fold in each side to encase the ends of the summer roll, then roll vertically to form a spring roll shape. Repeat 2 more times with the remaining rice paper, then serve immediately with sweet chilli sauce for dipping. Thanks to Lisa’s for making this post possible! All opinions and recipes are my own. 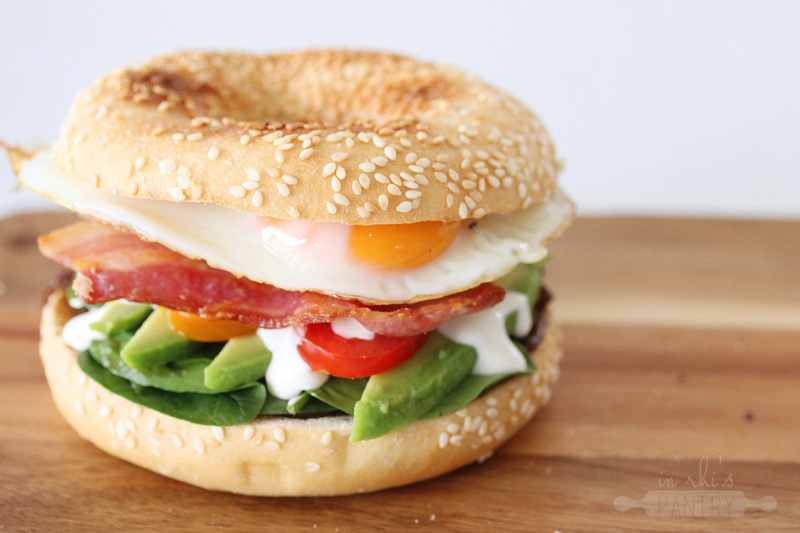 Breakfast Bagel's & My Love for Eggs! Scrambled, boiled, large, small, from a chicken, from a duck, eggs come in more varieties than I can count; and boy oh boy are they underrated. I always forget how amazing eggs really are - they're like that friend that you really don't see as much as you should, but then when you do catch up you remember how much you love them (not that my friends are eggs, but if they were, they're definitely good ones) P.s there is a giveaway running, check out the bottom of this post to see how you can be in to win! It's hard to think of a food item that is SO so versatile when it comes to cooking, and the benefits from incorporating a few more eggs into your weekly diet are incredible. We've all heard that they will keep you fuller for longer, but I certainly didn't realise how full of protein, nutrients and vitamins they are. It's incredible to me that that the same thing I can poach and put on top of my toast in the morning is the same item I can turn into aioli that I can smother my breakfast bagel in; now thanks to that segway, let's talk about this drool worthy, 10 minute or less brekky recipe! I wanted to come up with a super speedy but hella delicious recipe I can cook up on a weekday morning before work, that makes me feel that I'm eating a weekend brunch dish from my local cafe and gives me a tasty excuse to fry up a golden, runny yolked egg. To see how to make this little gem, watch the video above, or read below for instructions! To construct the bagel, spread the onion jam on the bottom half of the bagel. Top with the baby spinach, followed by the avocado and tomatoes. Drizzle with aioli, lay the bacon down then place the egg on top. Season, then rest the other bagel half on top and enjoy! To be into win an egg-themed prizepack, comment below with your favourite breakfast to make with eggs! Competition open to NZ residents only and closes 25th September 2016. For my last instalment of this little DeLonghi series I have one final video for you, and an exciting giveaway! In this last recipe tutorial I will show you how to make a deliciously easy chicken korma, served with rice jewelled with sultanas and coriander, and a super creamy coconut cream raita to serve on the side. This curry is so easy and demonstrates another way to use the Multifry in a completely different way! I love the sweetness from the sultanas and the cooling effect that the raita has on the heat in the curry, this dish is the perfect dinner and ideal for making and popping into the freezer for busy nights where there is little time to cook! Watch the video above to see how I made this dish. Now for the GIVEAWAY- I'm super excited to say I have one of these amazing appliances to giveaway, which in itself is worth $300! To be into win, leave a comment on this post telling me which of the three recipes I have created for DeLonghi have been your favourite and why! You can find them below this post. Winner will be drawn the 25th January Open to NZ residents only. 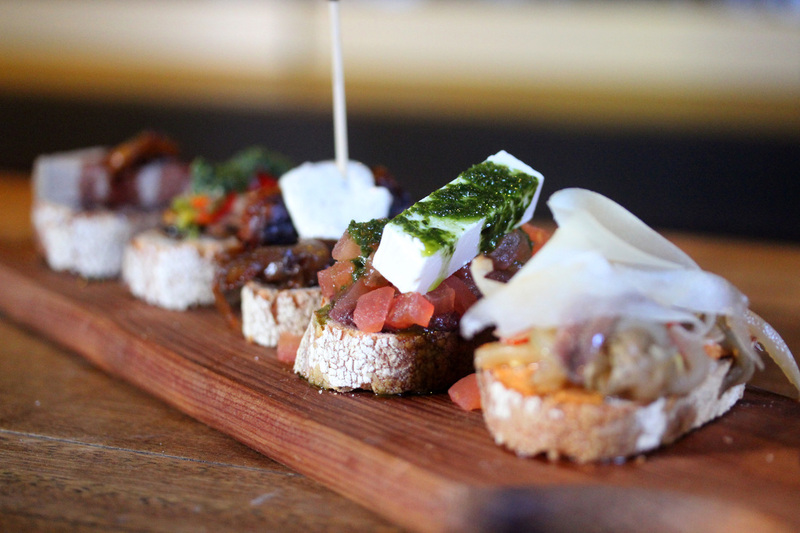 Nestled within Federal lies Bellota, SKYCITY’s litle Spanish treasure. Celebrating it’s 10th anniversary this year, Bellota was opened in 2006 by Peter Gordon, a self confessed lover of Spanish cuisine and gastronomy. 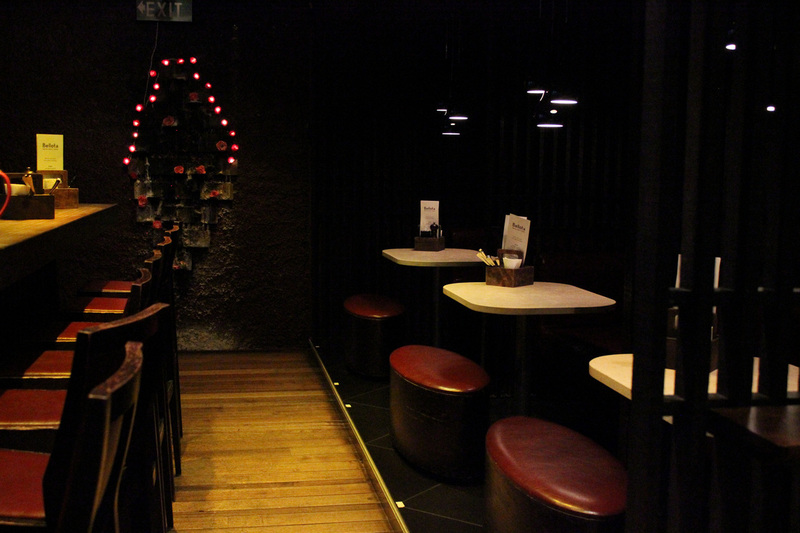 Bellota, which directly translates to acorn in Spanish, was the name Peter chose for his first tapas bar. This intimate, warm and sociable space has you feeling as if you’ve walked into an authentic Spanish bar, and is proudly run by head chef Ernest Pientx, who I can easily say is one of the most genuinely passionate chefs I’ve ever come across. Bellota’s name was chosen in honour of one of the tastiest pork products I’ve ever tried - Jamon Iberico de bellota; the Iberico pigs that produce Jamon Iberico de bellota eat acorns for up to 18 months before being turned into the Jamon, which brings us back to Bellota’s english translation, acorn. We were lucky enough to sit down with Ernest to talk through the menu, and in hand enjoy some of the delicious offerings! To start, we tried the illustrious Jamon Iberico de bellotas, amongst loin, salchicon, and two different types of chorizo; the first chorizo was in the style found in the North of Spain, which has a minced meat base, and then we moved on to one in the style of Southern Spain, which is made up of pieces of pork which gives a totally different feel when eaten (or devoured in our case!). 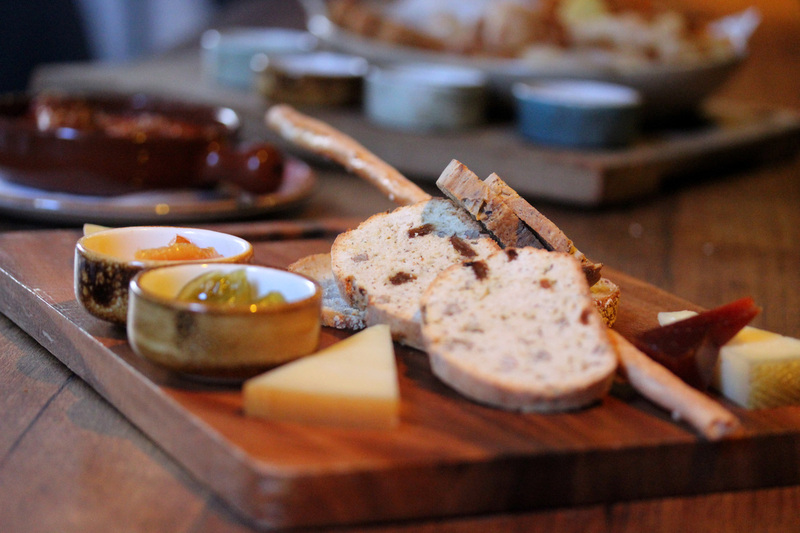 Along with the selection of meats, Ernest then served the cheese platter; a selection of four different cheeses which were served with an accompaniment chosen to help balance the flavours and texture of each individual cheese. I think my personal favourite was the Idiazabal cheese served with a green tomato jam! A firm, nutty and slightly sharp flavoured cheese with a perfectly sweet & savoury jam; cheese lovers heaven. We then moved onto the pintxo platter, which I was extremely excited for as pintxos hold a special place in my heart after being able to attend a pintxos cooking class in Spain last year! Pintxo is an altered version of the original term pincho, which in English translates to pinch or to pierce, which represents the stick that holds the pintxos together on a piece of bread; but nowadays bread isn’t always a key factor. Pintxos are a typical bar snack in Spain and are commonly shared with friends over a drink; the bar countertop will be covered in different pintxos plates, you pick whichever takes your fancy, enjoy them with a cold glass of sangria then pay according to the colour of the sticks left on your plate. It’s an incredible way of eating, and certainly interprets bar snacks in a totally different way. I think my eyes were bigger than my stomach when Bellota’s pintxos platter landed on the table, and it’s safe to say they became harder to resist as Ernest walked us through them all. Each of the five were totally different from the other, and introduced classic but not overcomplicated flavour combinations that showcased each element spectacularly, and went hand in hand together. Think a slice of crusty bread, that is topped with sweet but tart caramelised onions, a piece of chorizo warm with heat, finished with a dollop of mustard mayonnaise. 3 simple components, paired together perfectly for the ideal mouthful. Ernest also explained to us how Spanish cuisine draws influence from the rest of Europe in their cooking styles, for example, one of the pintxos was bread topped with (incredible) duck pate and sticky fig marmalade, or techniques such as concasse of tomato, which are both classically french. Now onto the tapas! In Spain, dinner is eaten quite late (sometimes not until 9-11pm) so there is a wee gap in between work finishing and dinner time, so tapas are the perfect snack in between. Ernest explained to us that it can be common in bars to buy a few drinks and they will give you a tapa on the house, then you order more drinks and the tapas will keep coming. They are an extremely sociable eating experience, and are nearly always made for sharing. I also asked Ernest what their best selling tapas were, and he said 100% the Cesta Crujiente, or the plethora of deep fried finger food (I can see why it’s so popular, a whole lot of fried Spanish goodness?! yes please!). 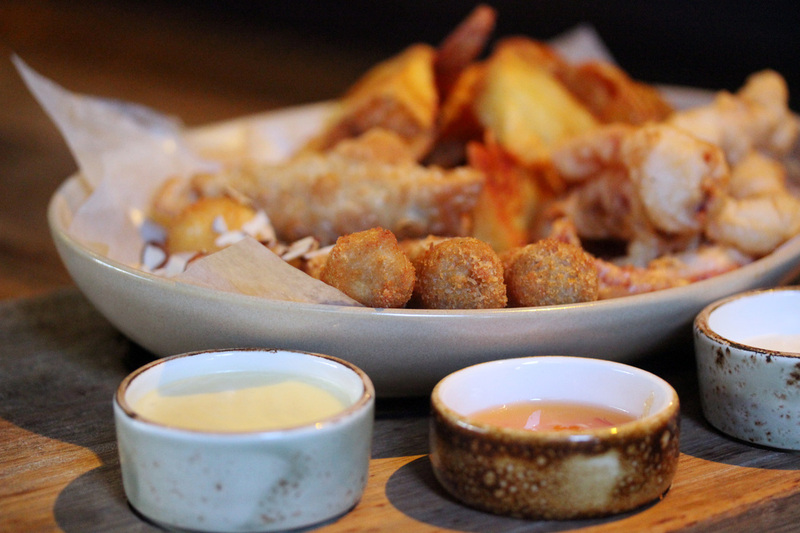 The basket is made up of croquettes, patatas bravas, empanadas and goats cheese balls, and each had their own matching sauce or dip to dive the item into. The patatas bravas had a spicy tomato based dipping sauce along with an AMAZING aioli which worked extremely well together, and my favourite part of the dish had to be the fried goats cheese balls, which were lightly crumbed and drizzled with honey and sliced almonds. Indescribably good. The next tapa we were able to try was (I kid you not) life changing, pimientos del piquillo rellenos con setas al jerez, or in short, piquillo peppers stuffed with mushroom and sherry which are then grilled with a slight amount of cheese on top. I can put my hand up and say I am not the biggest fan of capsicums or peppers, but these were honestly one of my favourite things I tried. The pepper was so plump, and was surrounded by a sweet, smokey and creamy sauce that was finished with the nuttiness that grilled cheese gives. These will bring you back to Bellota again and again. Lastly we were surprised with Bellota’s offering for restaurant month, seafood & pork belly paella, the empanada of the day and an ice cold glass of sangria. The paella was unlike any other I had tried, tucked within the al dente grains of rice were mussels, prawns and tender pieces of pork belly, all perfectly cooked. You can get both the paella, empanada and sangria for $25 this month! It’s a killer deal. Little chef’s tip from Ernest! When making paella, don’t be tempted to stir the paella during it’s cooking time. Give it a few little shakes, and you will avoid a heavy, gluey paella! If you have never tried Bellota before, like I hadn't, youneed to make it a priority to make a reservation! Whether you have a spare hour in the city for a catch up with friends over a few Pintxos, or you want a new place to try for dinner within SKYCITY, I can now highly recommend Bellota. Ernest Pientx has created a beautiful menu with tremendous amounts of knowledge behind it, and I can’t wait to be back sitting in one of Auckland’s Spanish gems. 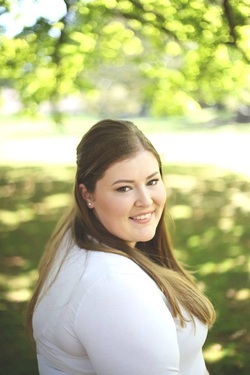 Welcome to, In Rhi's Pantry! I share recipes I love, original food photography, reviews and all other things delicious.